From distinguished researcher/clinician Russell A. Barkley, this treasured parent resource gives you the science-based information you need about attention-deficit/hyperactivity disorder (ADHD) and its treatment. It also presents a proven eight-step behavior management plan specifically designed for six- to 18-year-olds with ADHD. Updated throughout with current research and resources, this guide includes the latest facts about medications and about what causes (and doesn't cause) ADHD. Additional supporting documents for this title are available for download after purchase. See also Dr. Barkley's best-selling Taking Charge of Adult ADHD. If you love someone with ADHD please take the time to listen to this book in full. Opening the door to this scientific point of view has stopped me in my tracks from traveling down a failed path many parents before me have. My son is happy. I am happy. The school day is improving. I do not feel like the school is fighting us but working with us thanks to the tips and information provided in this book. My expectations are still realistic and I know what to do when symptoms seem to explode. I now know what ADHD is and that makes is manageable. Excellent source for parents learning to understand ADHD. Abby Craden does a wonderful job of narrating such a technical and sensitive subject. The author hits all the important points with precision & compassion for parents and their kids. This book was hard to listen to at first. After hearing all the statistics and problems that the ADHD child or adult faces, I felt depressed and somewhat helpless to stop these behaviors that are so prevalent in my son, who is now 13. As I kept listening, however, I learned parents of children with ADHD are faced with impossible decisions every day, making their tasks much more difficult and challenging than the parents of an average child. So...being the super parent that I am, I continued to listen and try to understand what on earth I am supposed to do with this kid. I really identified with the story told at the beginning of a mom who said she was losing her son and needed help. There have been times when I felt that way. Over and over you lecture and scold to try and make them see and help them understand good behavior from the bad. Then they start to resent you and suddenly, you start to realize there’s a much bigger problem to deal with, your son doesn’t even like you anymore. I would be lying if I said there wasn’t a time when I pushed my son beyond the boundaries of what our relationship could handle. This book really does do a wonderful job of explaining the ADHD disorder. It offers resources and practical solutions for us parents who really want to know more about the disorder. I do want to become the “scientific parent” the book mentions is necessary to be prepared and better able to help these kids who have it. As I listened to this book I was in the process of having my son diagnosed. The information and resources I was provided by the psychologist very appropriately aligned with what the book was giving me. It helped to know that I was on the right track and doing everything I could to help him. Though most days I’m still humming to the tune of “how to save a life” there are times when some strategy or advice worked, then suddenly, everything feels so normal. On those days I’m humming “what a wonderful world” and I know everything is as it should be. So the advice and strategies can help and do work. This book should be your step one towards understanding ADHD. 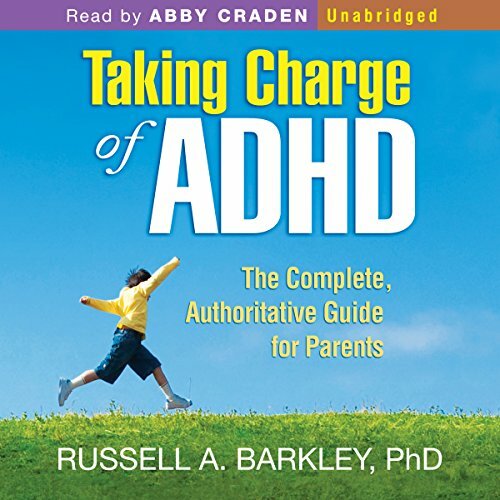 My daughter psychologist was impressed by the amount of information I had in very short time about ADHD and ADHD kids, thanks to Russell Barkley. This is the best book on ADHD that I have read. There are a lot of helpful suggestions on how to help your child. Gave me a new perspective on ADHD. A bit depressing but helpful. Maybe too in-depth for audio. This book was the most comprehensive and up to date one I've found. As a physician myself, I appreciate the scientific references and clinical advice. A good book for parents starting to seek help. I am a parent who also struggles with adhd and am seeking help on how better to parent my adhd daughter. I believe this would have been a good read if I hadn't already read many of the references books and knew most of the information given. This book does give good advice, I was just hoping for more!